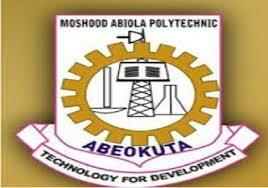 Moshood Abiola Polytechnic (MAPOLY), Abeokuta, Full-Time and Part-Time Higher National Diploma (HND) First [1st], Second [2nd], Third [3rd] Batch Admission List for 2018/2019 Academic Session. This is to inform all the candidates that applied for admission into the Moshood Abiola Polytechnic (MAPOLY), Abeokuta, Full-Time and Part-Time Higher National Diploma (HND) programmes for the 2018/2019 academic session. MAPOLY 1st, 2nd batch HND full time and HND part time admission list has been successfully uploaded online.